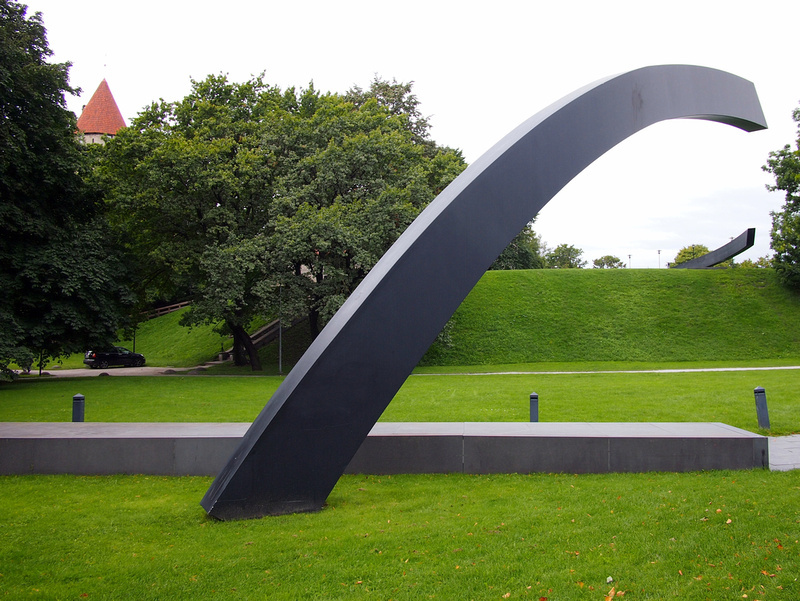 I last visited Tallinn in 2000 on a whirlwind tour of Scandinavia. Seeing that Tallinn was a short ferry trip from Helsinki I couldn’t resist paying a visit. I didn’t get to visit the rest of the Baltic nations on that trip, so I returned to Tallinn to start my Baltic tour. This time I arrived in Tallinn by air. 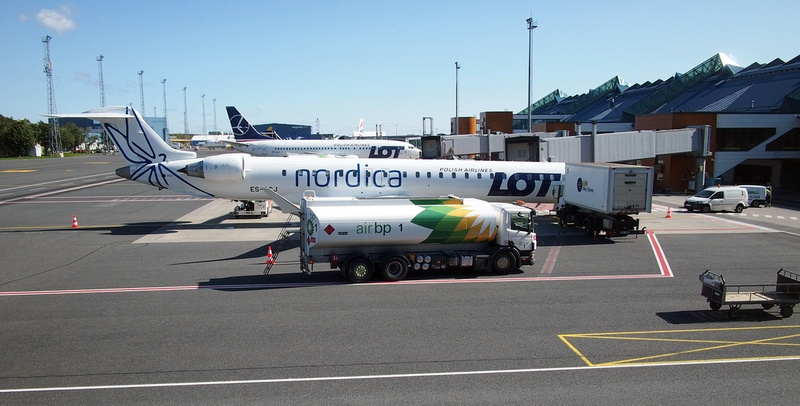 Tallinn airport is 5km from the city, and if flights are landing from the west then you will fly past the old city and the harbour (sit in an A-seat for the view). The airport is small, and I waited 2 minutes to get my passport stamped. After recently passing through the circus that is Heathrow, this small and friendly airport was a welcome change. 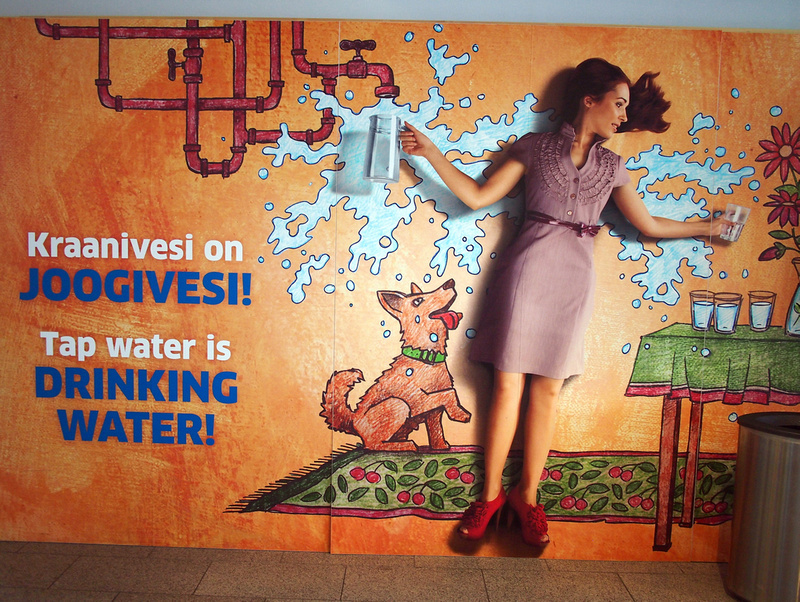 Spending so much time in Asia one of the first things I appreciate about being back in Europe is drinkable tap water. It’s an easy thing to take for granted when you are always used to it. At the airport I saw this advertisement that gets my appreciation. I don’t travel with a reusable water bottle these days, so I buy one bottle of water and re-use it throughout my trip. I lucked out with my timing on this trip as an airport tram had just opened that week. For 2 Euro you can get a tram from the airport to the edge of the old city. With such a smooth entry into the country I quickly warmed to this city, even if my ears and fingers were feeling the cold. 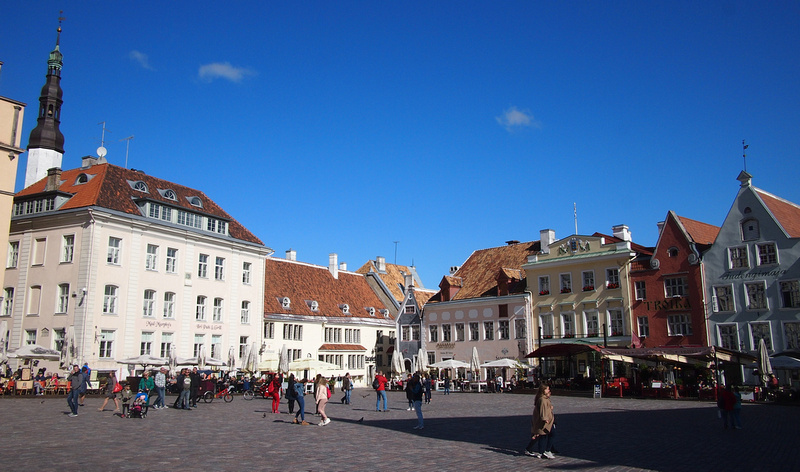 The main attraction of Tallinn is the Old Town, which is a UNESCO World Heritage Site. The historic centre is a well-preserved medieval trading city that was part of the Hanseatic League. Despite being heavily bombed by the Red Army in World War II, much of the old city remains intact, or has at least been restored to its original look. As one of the best preserved medieval cities in Europe I was surprised that it wasn’t overcrowded. Maybe it was the end of summer, but I have visited similar cities that have become completely overrun with tourism. 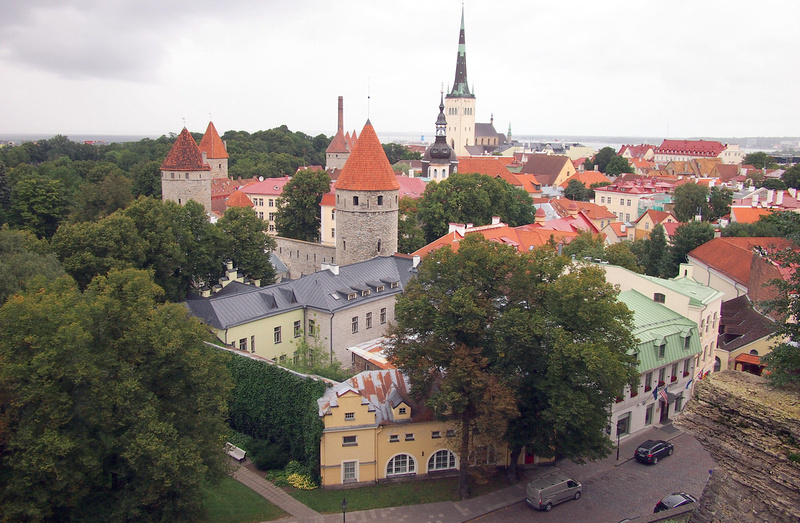 The Old Town of Tallinn is a wondrous sight worthy of its UNESCO world heritage status. Like any Ye Olde Towne of Europe though, you don’t want to be spending all your time there. Places that hold my interest are old docks and industrial districts that have been converted into work and living spaces. 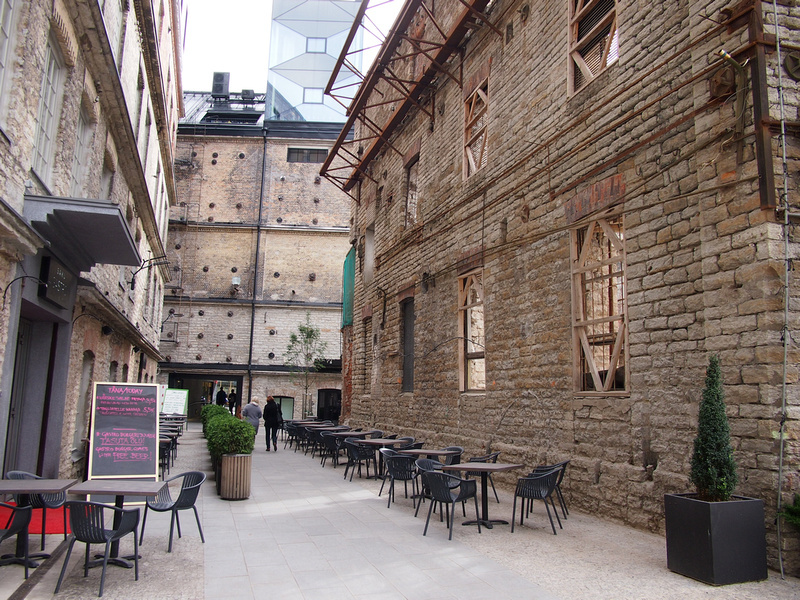 The Rotermann Quarter is between the Old Town and the port and it has made good use of its old warehouses. It’s still a work in progress with new apartments being built and warehouse shells waiting to be repurposed. I suspect it will become a destination in itself eventually. Google “hipster area in Tallinn” and the results will unanimously be Kalamaja. This are is just north of the historic centre on the other side of the railway. I took an immediate liking to the area, with old train depots converted into markets and retail space. Closer to the harbour used to be a fishing village, and old wooden houses still remain. In my nominal home city of Melbourne concrete bollards have been placed in busy public areas to prevent traffic incidents. The bollards were so ugly that Melburnians soon made their own decorations for them. 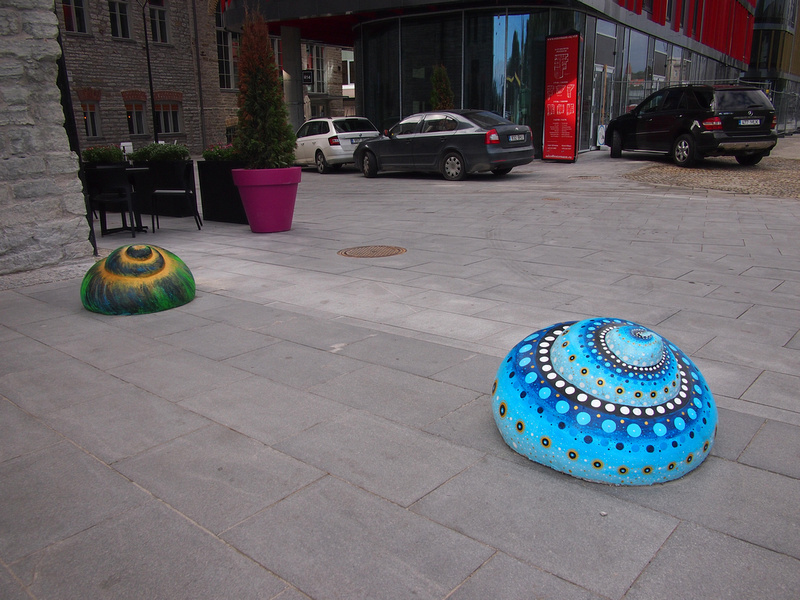 Instead of using a plain square block of concrete, in Tallinn there are different shaped bollards that at least have some artistic merit. Some have also been painted, which brightens up grey winter days. 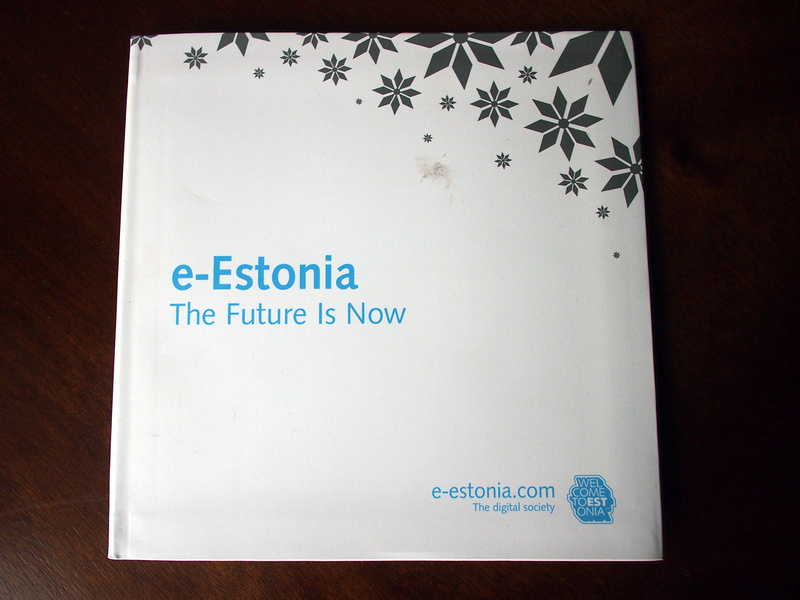 When I said I was going to Tallinn, some of my online business friends assumed I was going to get an e-Residency. There is more to Estonia than e-Residency, though it says much about the marketing of this idea that it has become so well known in the digital nomad world. The Estonian e-Residence program allows you to become an “online resident”, whereby you can set up a business here and open a bank account. It doesn’t offer actual residency (especially at the price of 100 Euro), but if you want an online business based in Europe then this is a good option. Even if you aren’t setting up a business you can apply for the card, which can be picked up at any Estonian embassy or consulate around the world. You don’t need to come to Estonia to apply. My friend Joel Runyon has done this. When I think of modern maritime disasters usually Indonesia or the Philippines spring to mind, not somewhere in Northern Europe. In 1994 the MS Estonia sunk enroute from Tallinn to Stockholm, with the loss of 852 lives. There is a monument to the disaster in a garden outside the old town. If you’re just here for a day or so as a tourist then you can’t go past the old town. Most of the touristic sites are here and there is a good range of accommodation, from hostel to boutique hotels. For business travel I would stay in the Rotermann Quarter, which is next to the old town, and more interesting to stay at than the new city area. 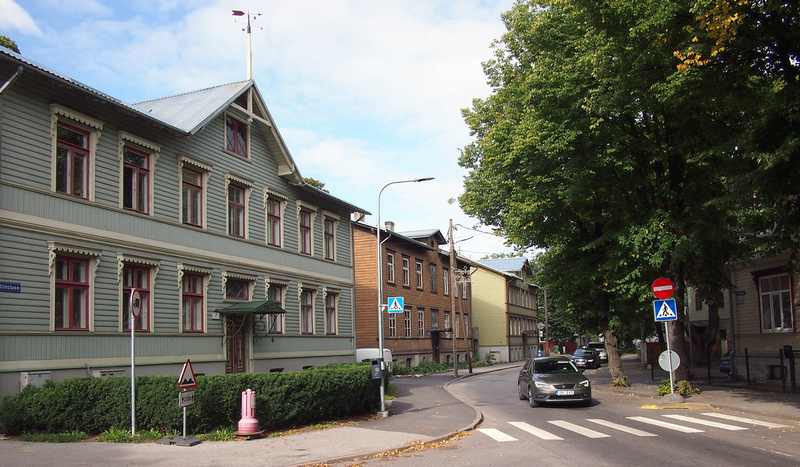 If you’re doing the digital nomad thing then the aforementioned Kalamaja area is a good spot to look for a short term rental. 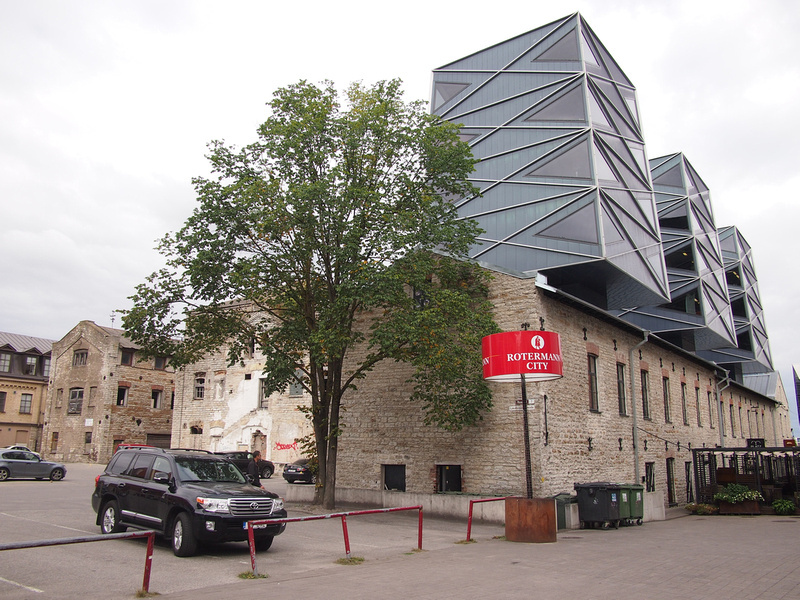 Search for hotels and hostels in Tallinn. 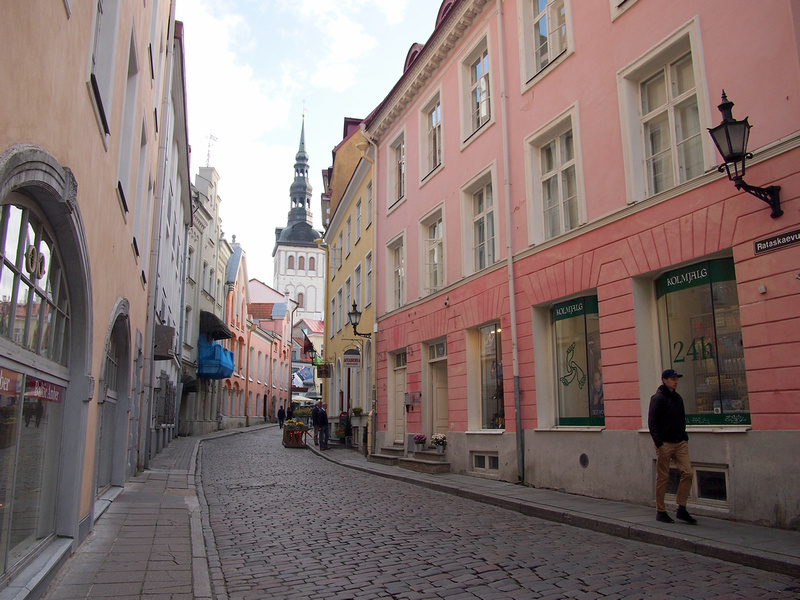 I flew to Tallinn with British Airways from Heathrow, and there are also easyJet and Ryanair flights from London. Turkish Airlines are one of the biggest airlines that fly here, and being close to Helsinki offers quick connections to Asia with Finnair. Unfortunately there is no trans-Baltic railway that links Tallinn-Riga-Vilnius. You can get to Riga by train by connecting local trains, which takes twice as long as the bus. 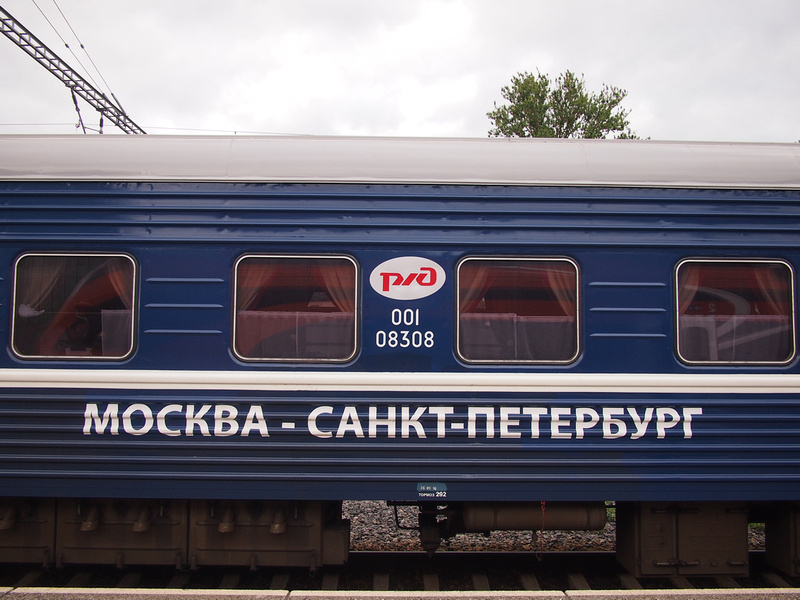 There is a daily train to Moscow via St. Petersburg. I haven’t been to Russia yet, so this is a tempting way to arrive. If you are visiting the rest of the Baltics, book your bus tickets in advance for a better price. I paid 22 Euro for a bus ticket from Tallinn to Riga, but if I had booked online in advance there are tickets from 5 Euro at luxexpress.eu. Bollards have sprung up all over my home town, and with good reason, but I love the idea of shapes that aren’t plastered with advertising. Totally relate to the drinking water from a tap situation. After three months in SE Asia it is nice to finally be able to drink tap water here in Perth AU, even if it tastes a wee bit odd?! Nice read. The pictures look amazing. Tallinn seems to be really beautiful and worth visiting. Thanks for sharing. Cheers! great tips. Surely will keep this in mind for the travels to come in my life. Oh my gosh it’s just beautiful isn’t it? I went to Tallinn a couple of months ago and it was my first time in Estonia – I will definitely be going back, there’s so much to see and do! Never heard of that marine disaster before – that’s a lot of casualties for an incident in the modern age. Very sad! 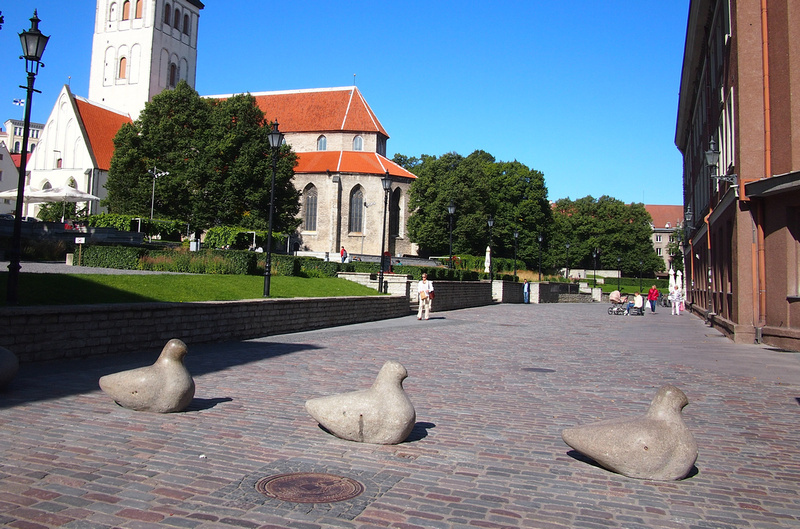 As for the rest of your post, Tallinn looks like a solid place to visit … hope to see it on my next visit to Europe! Tallinn is a very beautiful city,but can be a bit chilly in winter when we went. Tried the train Tallinn – Moscow and it was a great experience actually!